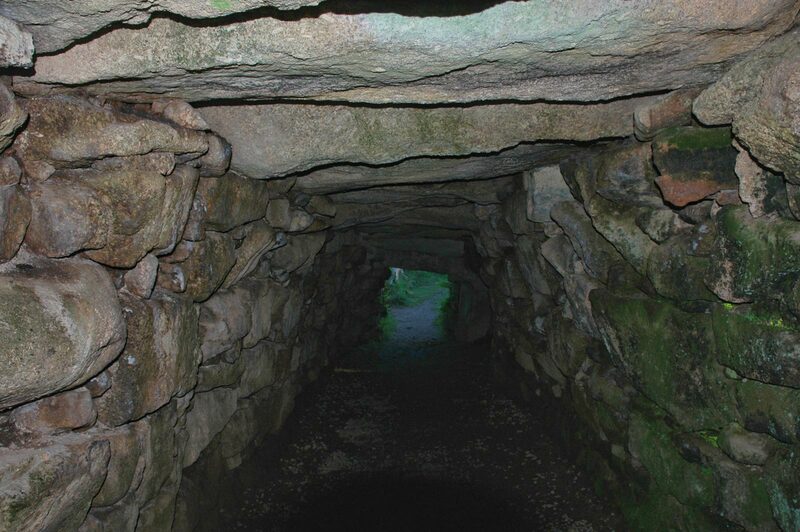 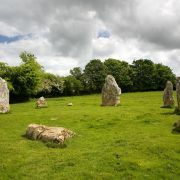 falseThe various ancient sites that dot the landscape of Cornwall date from as far back as 20 thousand years or the middle of the Stone Age. 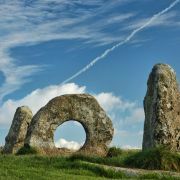 Most of the Stone Age henges and megaliths (circles and standing stones), were constructed between 10,000 and 2,500 years BC. 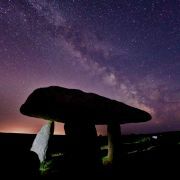 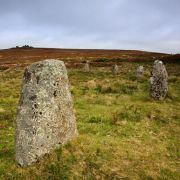 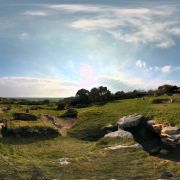 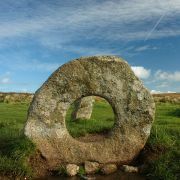 Many fine examples can be found on Bodmin Moor in the east of Cornwall and the moors of Penwith in the west.Noteable examples include the Stripple Stones near Bodmin Moor, Lanyon Quoit near Penzance and Men-an-Tol (photo at the top of the page).